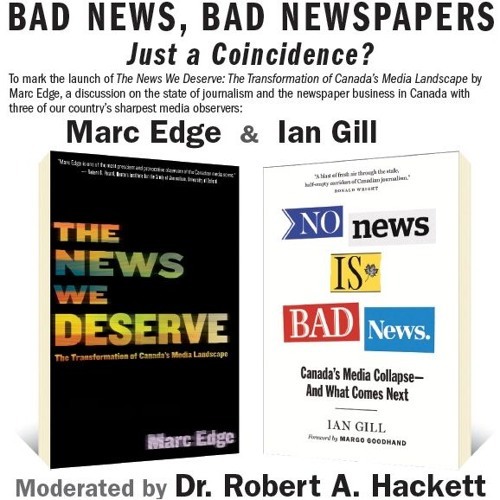 To mark the launch of Marc Edge's new book The News We Deserve (New Star Books, 2016), he is joined by Ian Gill (No News is Bad News [Greystone, 2016]) and Prof. Robert Hackett at the People's Co-op Bookstore in Vancouver. They discuss how the financialization of journalism is impoverishing Canadian society, and what we can do to change that. This is the unedited audio from that evening.